When I was 13 years old, I received a special, handmade Christmas ornament from my parents. They worked together to draw and cut out a bell shape, type out positive thoughts they had about me, decorate it, and attach a string to put it on our Christmas tree. I kept it all these years because it meant a lot to me. It's the simple things that really touch me the most. This is the front of the ornament. It was drawn on plain typing paper, but something heavier, like cardstock, might hold up even better. They used colored pencils to color it, and glued a piece of colorful fabric around the edge. The little poem was typed on a separate piece of paper, then cut out and glued to the front. This is the inside of the ornament. The words were typed, then cut out and glued to a piece of cardboard. A piece of gold string was used to attach the two pieces of the ornament together and then hung on our tree for me to see on Christmas morning. 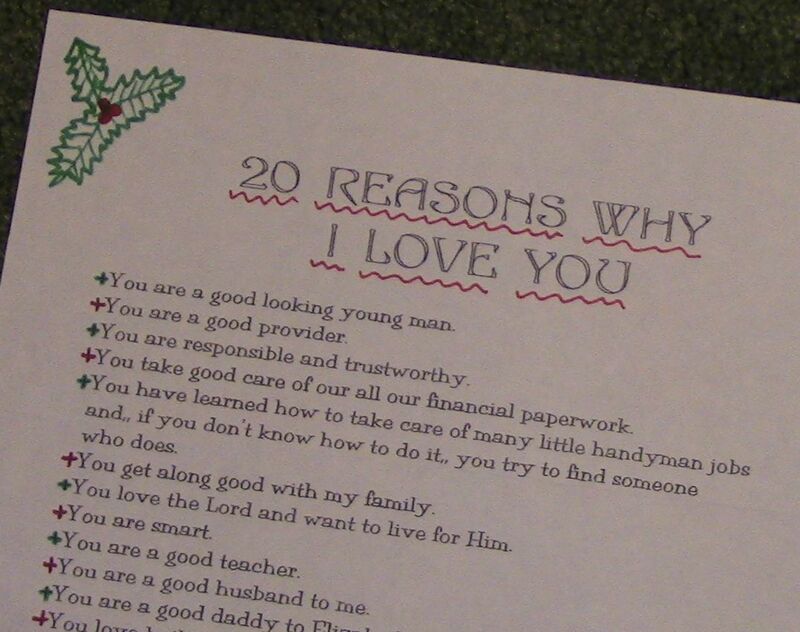 Use one of these ideas to surprise someone special in your life this Christmas. 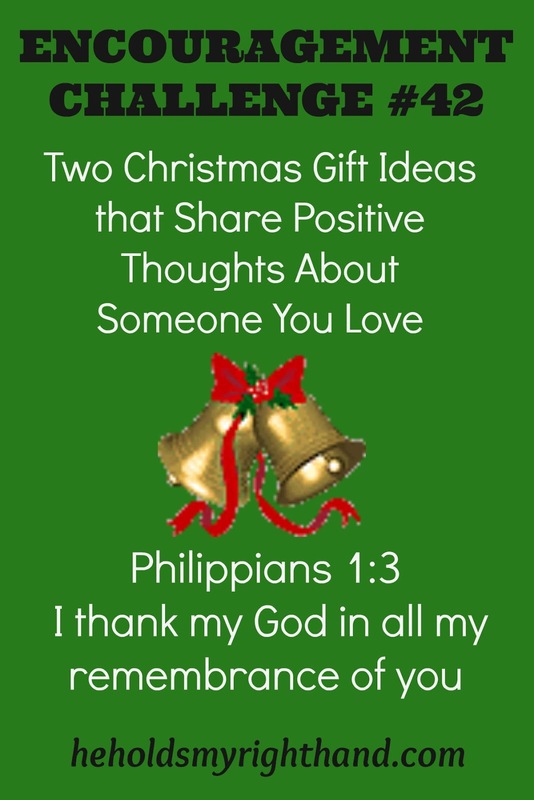 If you already made a Christmas Tribute for someone last week, choose someone else (a different friend or relative) to encourage with one of these other ideas. 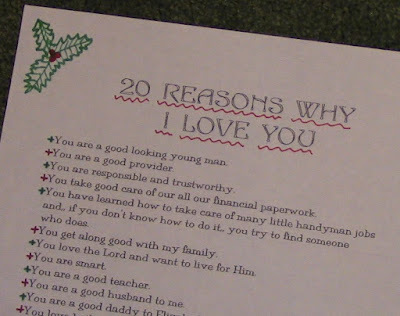 Hand deliver them, or stick them in a Christmas card and mail them. 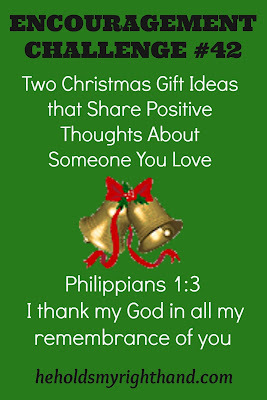 Work on these personalized gifts this week and, if you don't celebrate Christmas, do it just because you love them and want to surprise them with a blessing.